You’re only about 50km north of Lisbon here but in a completely different world. 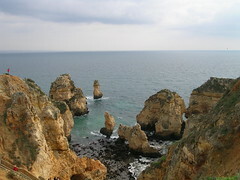 Just to the west of the Rio Tejo, the land rises into a line of rugged hills. It’s a rural area – vineyards, fields, woods and small villages. 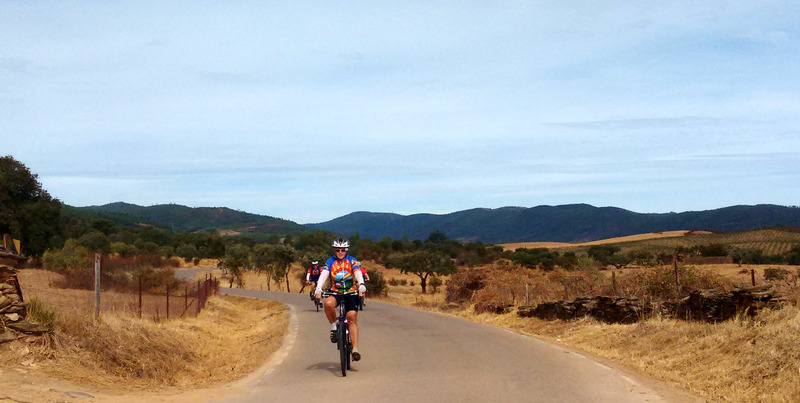 These rides give you two options for exploring this part of the province of Estremadura. 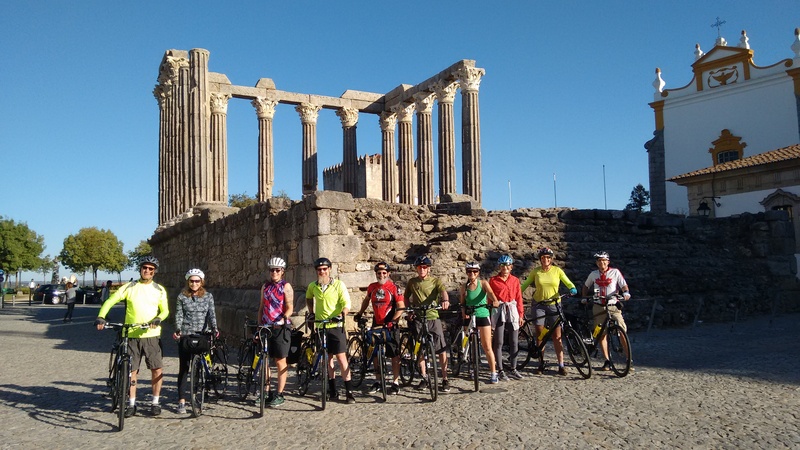 The first is a (mostly) gentle 38km circuit down the Madelena/Alenquer River and then inland through some of the local vineyards. The alternative is a 75km loop that takes you round to Torres Vedras and back over a second stiff hill climb. 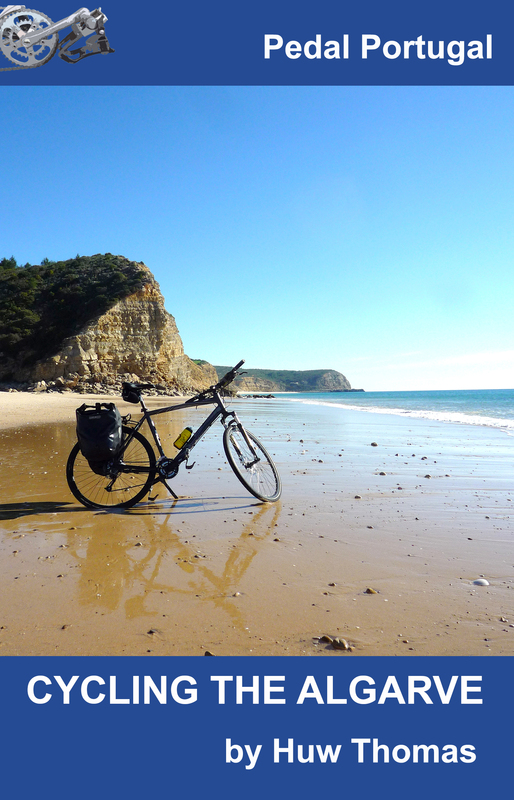 This could be split with an overnight stop in Torres Vedras – which could then link up with some of the other rides in this area. Both of these rides use a combination of local N-routes and some more minor roads. None of the roads are that busy. You may have to watch out for a few trucks and buses on the N9 and N248 but traffic levels are rarely heavy. Total distance is about 34km (21 miles) and involves a mixture of long descent, one tough climb and some rolling hills. Total distance is around 75km (47 miles) and involves a couple of reasonable hills. You’ll find cafes and shops in many of the villages and towns along this route – including most of those named in the details above. Alenquer and Torres Vedras also offer a range of accommodation options, as well as supermarkets, bike shops etc. I’ve started this ride from the village of Merceana and gone clockwise. 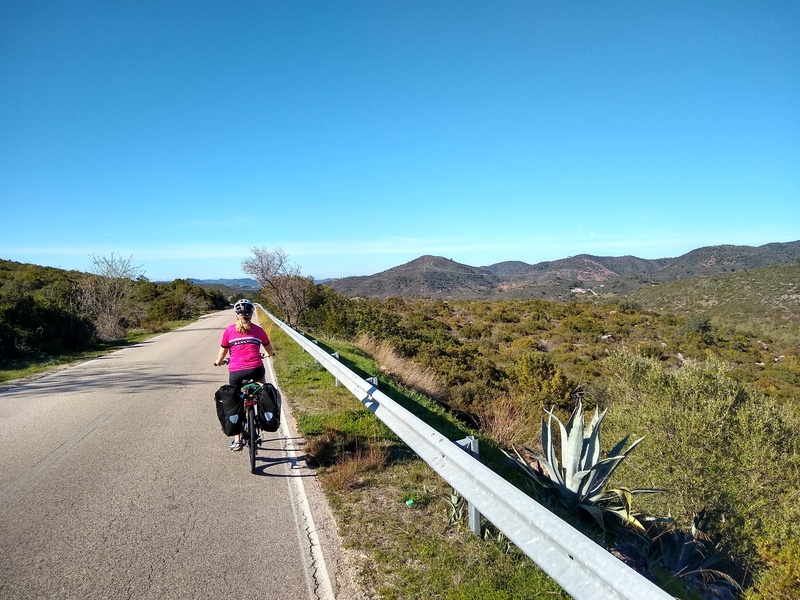 An alternative would be to start in Alenquer – but in that case I’d recommend going anti-clockwise or you’ll be starting the ride with the hardest climb. 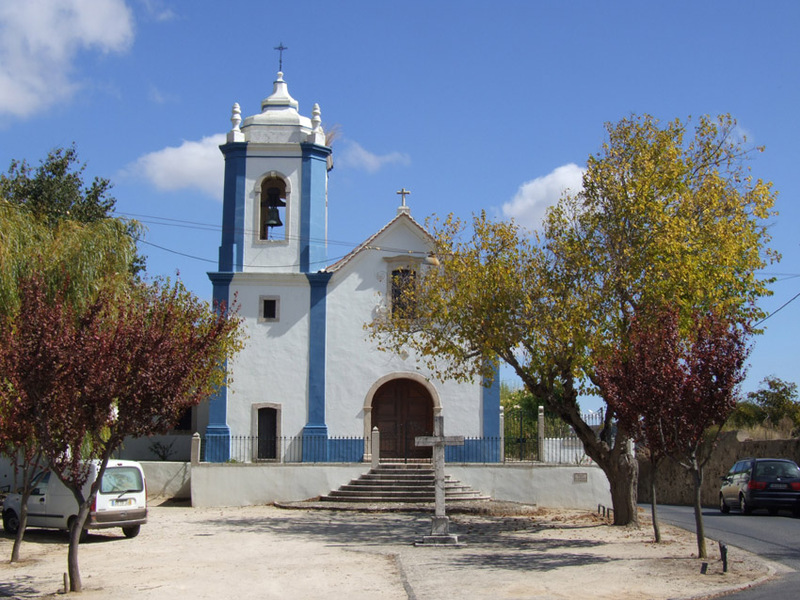 Merceana is a typical Portuguese village and the ride starts by following the N9. The first 9km or so are fairly flat, following the valley to the east. As you turn south towards Alenquer, you’ll gradually lose height and it’s a good, mostly smooth downhill run all the way into town. You’ll have to pick your way around some narrow streets, some of them cobbled and one-way to get out of town. (Aim for the town hall – Camara Municipal – and keep going up.) It’s a stiff climb but worth it both for the views and also because it takes you out onto some beautifully quiet rural lanes. Follow the ridge around until you get to a small roundabout and turn right towards Cabecos and Carnota. You’ll be riding through open countryside with some great views all around. About 2km beyond Carnota, the road you’re on – the N115-3 – bends to the left. Turn right here for Palaios and Riba Fria. Coming into Riba Fria, there’s a steep drop towards the N9-3. At the bottom of the hill, turn left and then keep on this road until you hit a T-junction with the N115. 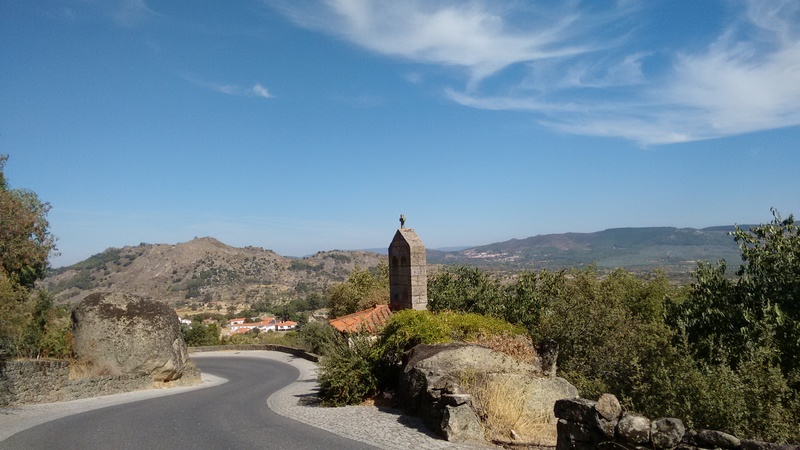 Go right here and follow the road until you get to the village of Galega da Merceana. You can keep going straight on towards the N9 and back into Merceana but if you look at the map there’s a short loop that will take you in on an alternative road. Follow the same route until just beyond Carnota. This time, don’t turn towards Riba Fria but stay on the N115-3 and follow it to the west until you meet the junction with the N115. 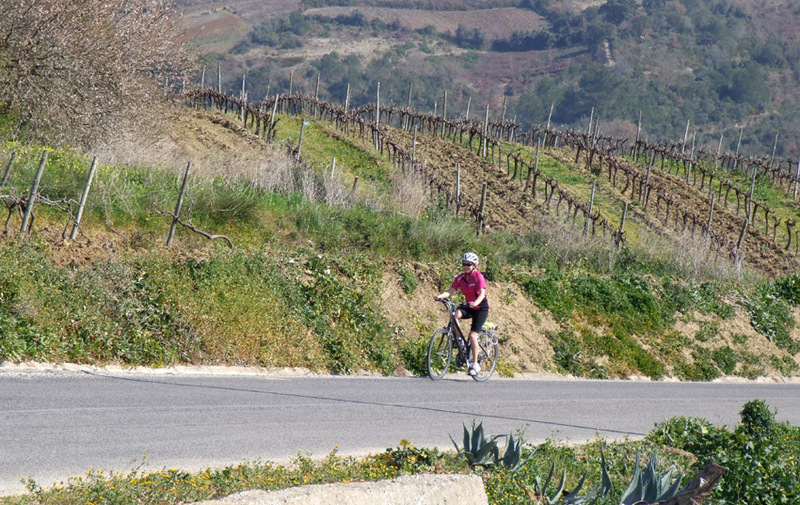 Turn right and keep on – climbing gently – until you get to the village of Carmoes. Take the first left here, sweeping around a couple of bends and into a beautiful downhill run to Dois Portos. There’s a steady climb out of Dois Portos towards Ribaldeira, where there’s a pretty little church and some attractive old buildings. It’s a rolling route from here and probably the busiest section of the ride as you approach Torres Vedras. There’s not a huge amount of sightseeing to do here but the castle (mostly ruined) is worth a look and there are a few attractive old streets as well as a busy modern town centre. If you want to really test your legs, go up to the Forte Sao Vincente just to the north of the old centre. This is one of the forts of the famous Lines of Torres Vedras – created by Wellington to turn back Napoleon’s army. 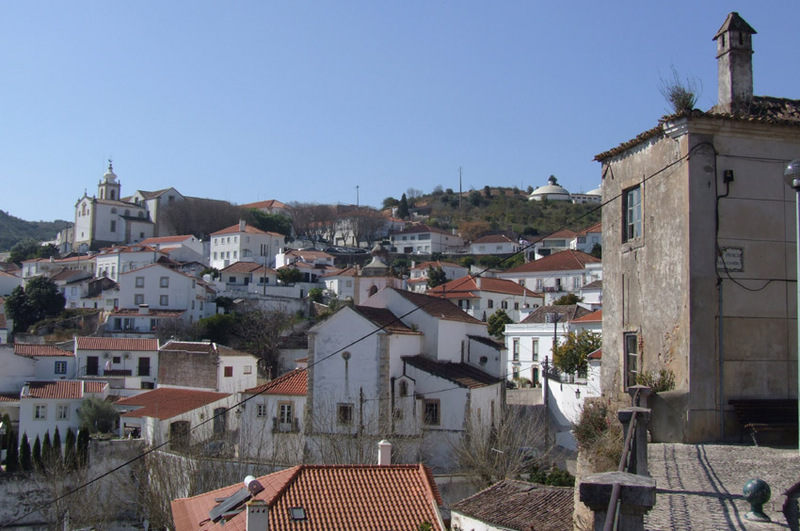 The first section out of Torres Vedras isn’t that attractive but you’re soon putting the town behind – and climbing steadily. As you leave the village of Sarge, you’re almost at the top of the hill and from there you’ve got about 8km of rolling road through wooded hills before dropping back down to farmland. At the village of Maxial, turn right. This is when the real big climb of this ride begins – about 200m of ascent towards the villages of Vila Seca and Ereira. This can be a slog but you’ll have fantastic views back to the Atlantic coast and of the farmland around you. Look out also for some interesting conversions of some of the area’s old windmills. A short way beyond Ereira, you crest the ridge and then you’ll have a swift drop back down to the N9, where you turn left to return to Merceana.